Am I missing something, or are people complete idiots? We have decided that we don’t want to have dog poop all over our community. To this end we expect pet owners to bag the feces of their beloved canine, and dispose of it in a convenient garbage can. If there is no readily available waste receptacle, we expect it to be packed home and disposed of it there. Fine. But not every seems to understand all aspects of this complex procedure. 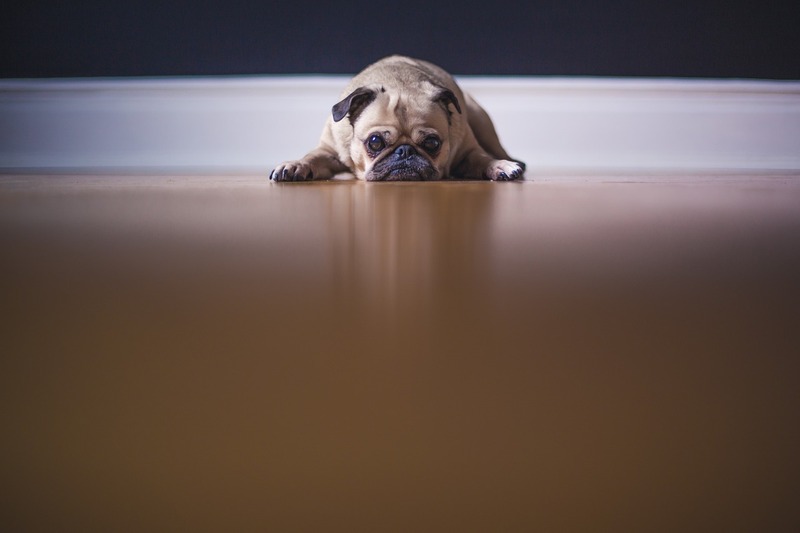 There seems to be a number of dog walkers who struggle with the important steps beyond the first. 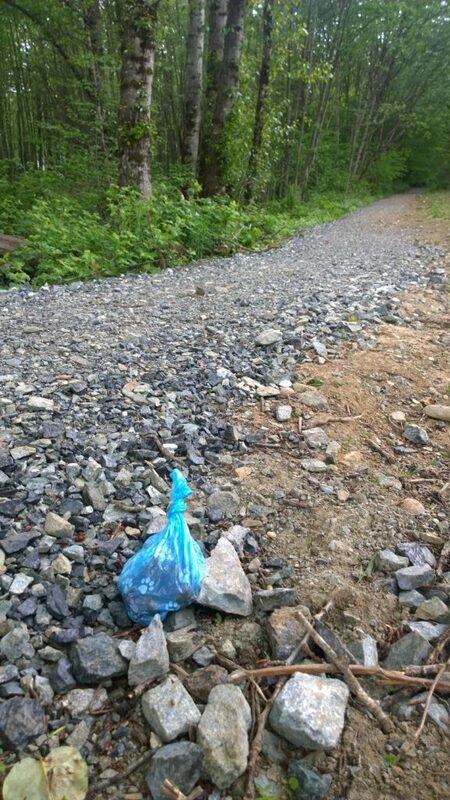 I go walking up my local trail almost everyday and regularly find neatly packaged bags of dog poop protected from the elements in bright white or neon blue baggies. I don’t understand. Why don’t the pet owners move on to step 2. If the stuff was just left, unpackaged, beside the trail, the rain, sun and snails would erase it from memory. But inside its protective case, this doggie dump can sit like a monument for months commemorating the site of this momentous movement of digested kibble for the devout pilgrims who pass it on the trail. I suggest that this dog poop ritual is an all or nothing kind of thing. Either go through the entire procedure and take the bag home with you, or don’t even start down the road of courtesy–just knock the stuff off the trail with a readily available stick and let nature take its course. Do you ever feel that life is a little flat? This feeling comes about because of a new view of reality which affects how we experience reality. The view goes by various names–Naturalism, Physicalism, Philosophical Materialism, or Exclusive Humanism. It is the belief that there is nothing over and above the physical. There is no spiritual dimension to reality. This loss of the transcendent results in a malaise. Without God, the world lost the enchantment it derived from his presence; meaning is more difficult to come by; it’s not so easy to anchor truth to anything absolute, the same goes for the good and the beautiful. In the absence of a transcendent source of meaning, where do we look for it? The Romantics looked for it in Nature and the Modern thinkers in Reason. In the postmodern context, these have become inadequate. In our current context, we look for meaning within the individual mind, says Taylor. Any meaning to be found in the universe is to be found in my head. I get to decide if a thing is good or true or beautiful. I don’t know; I feel inadequate to the task. Without the higher things, our experience of reality is flattened. Hence, the malaise of modernity. We seek “an over-arching significance” in life. We tend to commemorate important life events, but feel as if these efforts were all for naught. So how do we bring some fullness into our experience to counter the flatness? These can sometimes mask the symptoms, but fail to cure the real illness. A broader conception of time. The recovery of objective reality. The re-enchantment of the cosmos. I’ve covered the first in previous posts, the first of which is here. The other three will be addressed in the posts which follow. I really liked Bryan F. Hurlbutt’s book Tasty Jesus. In it he asserts that Western Christianity holds to various cameos of Christ that aren’t accurate. This is because we tend to reconfigure Jesus to suit our personal preferences. In order to make complex cultural and philosophical ideas accessible, Hurlbutt uses food analogies to illustrate the shortcomings of five most significant “christological malformations” in the Western church. His analysis of these is thorough and nuanced. But I’m wondering if, perhaps, there is not a configuration that might be added to his list, and a food analogy that would challenge the view of Christ held by many of the readers of this book: Modern evangelicals. Theological liberalism has largely naturalistic roots and, consequently, has stripped Jesus of his deity. This is the “creampuff Jesus,” tasty, but of no nutritional value at all. Fundamentalism is a response to theological liberalism. It tosses out the creampuff, but keeps crossing things off the menu–out with the potatoes, pasta and bread. This no-carb approach eliminates important parts of a balanced diet. Ultimately, this approach is spiritually toxic. More recently, postmodern ideas have influenced ideas of Christ–the core of this stance is relativism. Like a meal at a smorgasbord, this version of Christ can appeal to many diners because it makes no absolute claims. Have some pork chops, top them with ice cream and vegetable soup–whatever. Gourmet Jesus is the Christ of those who believe in the prosperity gospel–God wants you to be rich. The Biblical promises of spiritual or eternal flourishing are understood to mean material prosperity–God’s wants you to eat lobster thermidor. He clearly says so in the Bible, if you take a few verses out of context. Pop-culture Jesus–this is a “shallow and spurious” Jesus. Gastronomically, this is the homogenized Jesus, heated to the point where anything dangerous or confusing has been eradicated. It’s the opposite of the delicious unpasteurized cheese you can buy in Europe. These are Hurlbutt’s five. There might be a sixth cameo of Christ that is significant enough to be added to this list. It is the view toward which many of the readers of this book might lean. I called this group Modern Evangelicals. That’s Modern, with a capital ‘M’–it’s the church that is highly influenced by Modernism. These terms are so overused that their meaning has become unclear, so let me explain who I’m talking about. They aren’t like the traditional mainline churches for they have left behind traditional liturgies and no longer hold strictly to their traditional theologies. They are, like Hurlbutt, critical of the Emergent church because it adopts post-Modern idolatries. But they are conservative, meaning they resist change. But in their resistance to post-Modern idolatries, they hold on to Modern idols. Rationalism: They take a rational approach to reading the Bible. They tend to talk about the Bible in terms of inerrancy rather than inspiration. They have a tendency to think of truth in the narrow sense, of fact, rather than in broader terms. Materialism: They think of Communion as a meal of literal bread and juice through which we remember the sacrifice of Christ. There is no supernatural encounter through the physical materials. There is no mystery. Jesus does not interact with his people through communion. Individualism: There is a strong emphasis in the role of the individual. It is the individual who decides to follow Jesus. This decision is celebrated in believer baptism. This emphasis places the role of the community and that of God in the background. Secularism: They do not deny the transcendent, of course, but they tend to see a radical separation between the transcendent and the immanent. For example, they will emphasize the the divine authorship of the Bible at the expense of the human authorship. They will be quite happy with Hurlbutt’s five cameos because they are not particularly guilty of any of these. Just as it’s easy for Canadians to see peculiarities in the American view of the world (and vice versa), to which they are themselves blind, so too Modern evangelicals can easily see problems in the Liberal or Fundamentalists stance, but fail to see the plank in their own eye. What is the gastronomic analogy that might get at some of the limitations of the Modern evangelical take on Jesus? A microwave Teriyaki Chicken dinner. It is an individual serving, efficiently prepared with the modern convenience of a microwave. It’s slightly exotic–it’s teriyaki, after all–but it’s largely Westernized. The ingredients are theoretically tasty and nutritious, but the effects of mass production and microwaving have removed most of their structure, taste and probably nutrients. It’s convenient, only requiring a few minutes to prepare and eat–ideal for busy people on the run. Even if you ate it every day, you could do worse–it’s probably healthier than any of the other five diets. Now, I know plenty of evangelicals that do not have the microwave teriyaki chicken image of Christ. For these, the analogy would be more like a healthy, well-balanced dinner–an herb-roasted chicken with mashed potatoes, steamed asparagus and a small, sweet dainty for dessert. But I think even this more robust and balanced picture, as compared to the microwave meal, reveals the limitations of the evangelical Christ. I think it would be a family meal, something Middle Eastern. My daughter told me about the meals she ate in Israel. These were family meals. They ate fresh pita and hummus, tzatziki, olives of course, lentils, roasted vegetables, lamb on skewers, lamb in grape leaves. Importantly, this is a balanced meal. But the contents, especially the spices–cinnamon, cardamom, cloves, thyme–were strange to her western palate. She had to humbly look to her hosts, even the children, for some indication of how to eat it and what to put with what. She was not confident, uncertain. She was repeatedly surprised–sometimes delightfully, at other times, unpleasantly by the flavour combinations. This meal was full of grace and love–the family that prepared it, pulled out all the stops because there were guests at the table. My daughter felt so blessed that such a sacrifice would be made for her. No analogy can ever begin to capture the true Jesus, but I do think that even evangelicals need to think, not only about other, clearly problematic predilections, but also their own reconfigurations of Christ.